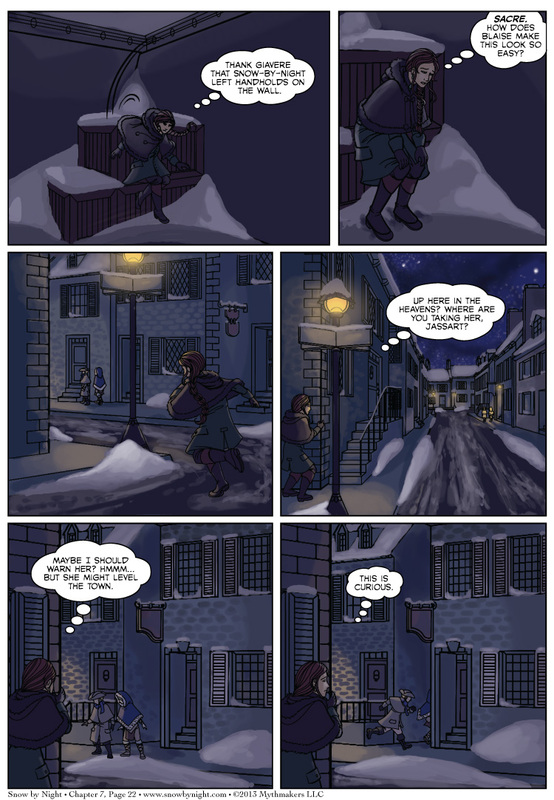 Mathilde shadows Jassart and Snow-by-Night through the Upper City on Chapter 7 Page 22. To see a preview of what has Jassart and Snow-by-Night spooked, please vote for Snow by Night on Top Web Comic. Have you checked out Sombulus yet? It’s the SpiderForest comic of the week. Give it a read if you like humorous fantasy with a charming art style.